Spring is around the corner ..
and so now I have serious Spring fever.!!! I am so looking forward to see what ‘pops’ up here .. Thank you for your continued support thru the years. You have followed us from the Bronx New York up here to Belmont Maine and we thank you. You have been patient with the many website issues and for that we are very grateful! The new website is beautiful and modern and the best website SunRose has had to date. I hope you enjoy it, and if there are any ‘oops’ while you are on the site, please let us know. This is how we can keep the site, ‘oops’ free!! And we thank you!! join our mailing list. Details on how to subscribe are coming soon. Wishing you all a wonderful holiday season and A Happy New Year 2016!! all of us at SunRose! 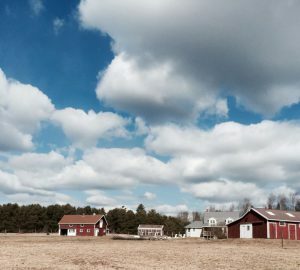 About two years ago, the small web hosting company that hosted sunrosearomatics.com was bought up by a much larger company. 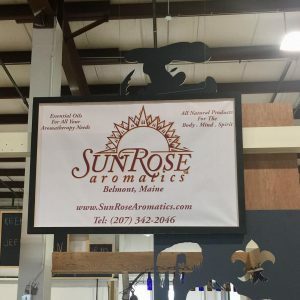 With that sale came months of trouble for the SunRose Aromatics website. We tried to work with them and give them the benefit of the doubt, but the downtime and lack of support led us to seek out a new hosting company, which we did in June of 2014. At that time, we decided to embark on a brand new website designed to give SunRose customers the best shopping experience possible. When we decided to move the site, we did our research and found a very well-regarded hosting company. Their initial support was fast and impressive, so we made the leap. The new host was great for the better part of the past year, but recently their support and uptime has gone downhill. We know you’ve noticed the downtime. So have we. Again, we tried to work with our current hosting company. We wanted to avoid having to move the site again. The situation just continued to deteriorate, however, and we finally had to make the difficult decision to once again move the site to a new host. The move is beginning this week. The early work will all be behind the scenes, so you probably won’t notice anything right away. Once we move the site, we hope that the only thing you notice is increased speed and no downtime! However, realistically we have to admit there may be a few hiccups as we work out the kinks on the new host. 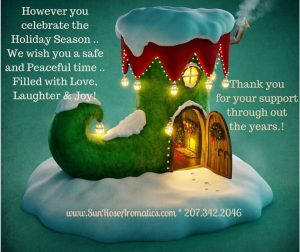 In the meantime, if you try to place an order on the site and experience errors or downtime, please contact Rosanne directly either at support@sunrosearomatics.com or by phone at (207) 342-2046. She’d love to chat with you and take your order. If you have any questions about the website, please contact Kim directly at kim@fallenmuse.com. I’d like to hear anything you have to say about your experiences with the site. We’re so grateful to our SunRose family for sticking with us through the recent downtime issues. We can’t wait to get the site moved over to our new host so we can continue to give you the best service possible. .. is to provide year-round sports training and athletic competition in a variety of Olympic-type sports for children and adults with intellectual disabilities, giving them continuing opportunities to develop physical fitness, demonstrate courage, experience joy and participate in a sharing of gifts, skills and friendship with their families, other Special Olympics athletes and the community. world to open their minds, accept and include people with intellectual disabilities and thereby anyone who is perceived as different. We are hoping to launch the new site within the next 2 weeks, and we are asking our SunRose Family to help us Beta Test the new site. Placing your orders on the new site within a 3 day period to be announced. There will be a ‘free gift’ with your order that will be automatically added. So, Please stay tuned when we are ready to launch.! The puppy Conan _ Whose bed is this anyway!? And here is an update on the puppy, he was 5 months old July 17th, 2014 and weighes in at 60 lbs ..
he is a sweet heart, smart and loving. And oh yes, he thinks that is his bed.!! !